Home > Questions > I would like facial slimming treatment in Sydney. Where can I have this please? I would like facial slimming treatment in Sydney. Where can I have this please? We offer facial / jawline slimming at Cityskin in Sydney. Jawline slimming is one of our favourite treatments and we perform hundreds per year at Cityskin. 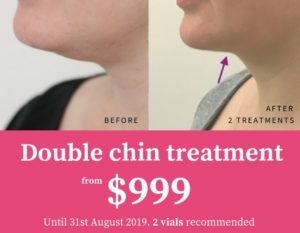 How much does facial slimming cost in Sydney? We charge $550 for 50 units for jawline slimming treatment at Cityskin Sydney. Consultations for facial slimming treatment are free of charge. You can book an appointment here.